Our home has turned into a studio. Awesome. The neighbors might not agree though (saxophone can be pretty loud). 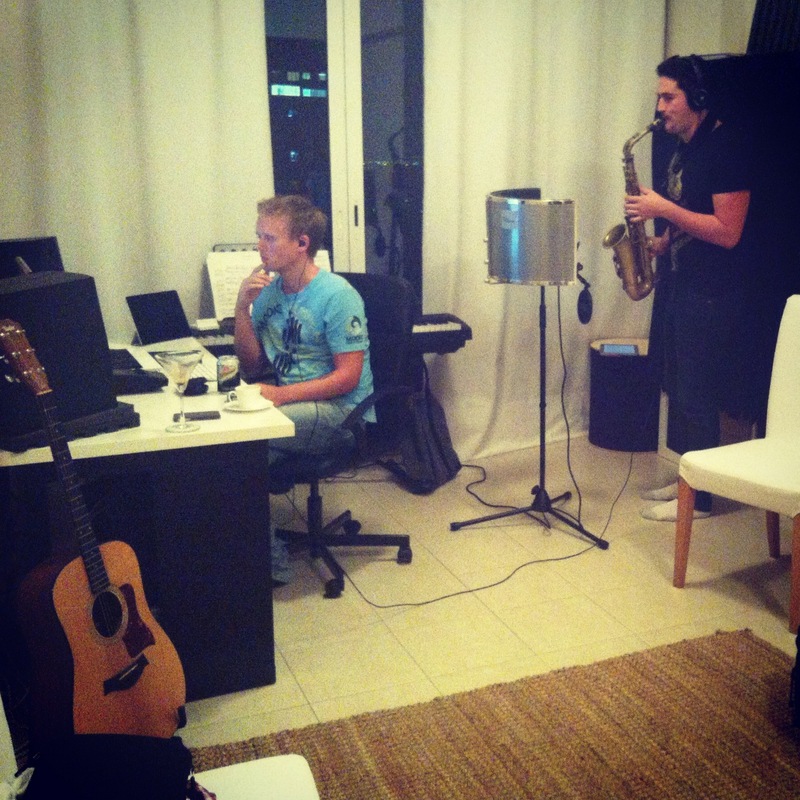 I’ve sung vocals on 4 tracks and now Matt is recording sax. Espresso martini’s are getting us in to the right vibe and soon we’re gonna order some thai food from our favorite place ’round the corner, The Kitchen of Thai. Their food is delicious, authentic and spicy. Yum!